Well, this is it, then. The Labour Day weekend signifies that school is in, (most) vacations are over and it's time to wear dark colours again (put away those whites!). But in a last ditch effort to hold on to some of that summery goodness, and because I am such a staunch defender of summer not being over until September 21st, for today's post I bring you... lawn ornaments. 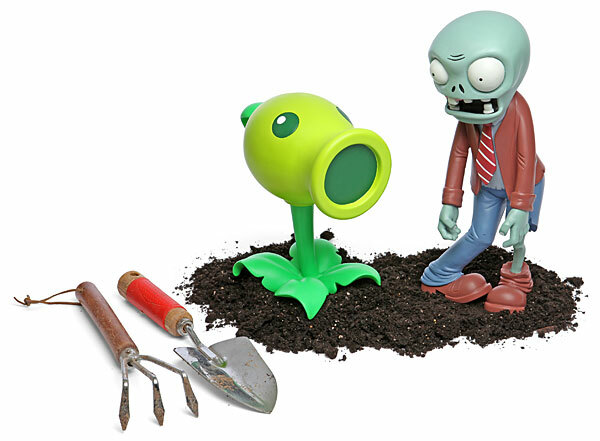 And not just any lawn ornaments: Plants vs. Zombies lawn ornaments! Yes, these are a thing! And they're adorkable! So, if you're planning to hold onto the last vestiges of summer, you might as well do it with zombies, right? And pea shooters. Definitely need pea shooters. Be warned: cool costs. ($100 for 2 of each or $20-40 per item.) 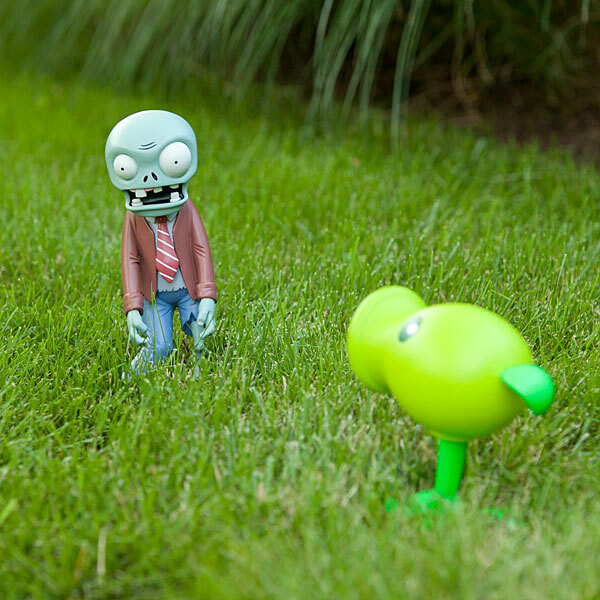 The pea shooters are 9" tall while the zombies are 14", which means that if you tend to your grass, they'll definitely get seen. And stolen. But while you'll have them, won't you have the most adorkable lawn?? Naturally, these are available on ThinkGeek.